(0 Customer Reviews) | Write Review 6 issues per year Weed World is an alternative lifestyle magazine that has over 25 years of knowledge about the wonderful world of weed. 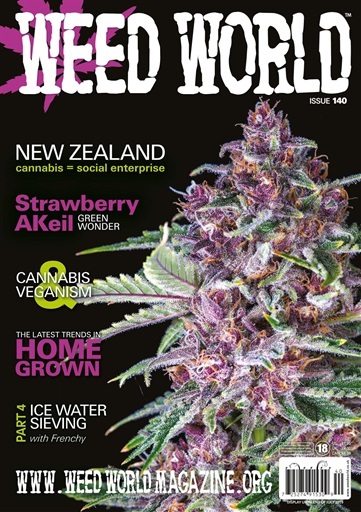 Weed World breaks through the barriers of taboo with it’s educational content, keeping you the reader in touch with the ever growing and changing world of cannabis; this magazine covers every topic imaginable, from the very serious articles to the light –hearted that will brighten up any rainy day. This bio monthly magazine has over 145 colour pages packed to the brim with information and is now available to you online 24 hrs a day - 7 days a week. By using this fantastic app it allows you to download the latest edition or back issues of Weed World so you never miss an issue. Whatever your looking for that is marijuana related this online magazine has it all and much more so subscribe now! 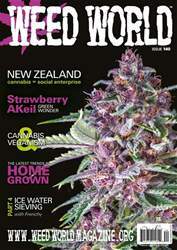 In this issue we have lots of exciting articles, such as “Cannabis Means Social Enterprise in New Zealand”. This is about a social enterprise that is looking to cannabis to provide opportunities for an economically deprived rural community. We celebrate the life of Nicholas Craston aka Zorro, owner/founder of Red Eye Express, in “A Life Less Ordinary” - he will be missed. Sharon Letts carries on her Greener Pastures patient profiles series with “A Better State of Mind in the State of Maine”. We are also pleased to introduce Cheryl Shuman, our new columnist. Look out for “Will ‘Big Cannabis’ Be Bigger and More Profitable Than Big Pharma, Big Alcohol and Big Tobacco?” and our new writer Paul James’s “Best Places in the World to Naturally Grow Cannabis”. Weed World is an alternative lifestyle magazine that has over 25 years of knowledge about the wonderful world of weed. You'll receive 6 issues during a 1 year Weed World magazine subscription. You'll receive 6 issues during a 1 year Weed World magazine print subscription.